Download all 11 tracks from the debut album by Williams Honor, plus receive a free physical signed CD. Shipping charges will be added to your order. After your order is placed, you will be emailed a link to download your tracks. Download all 11 tracks from the debut album by Williams Honor. After your order is placed, you will be emailed a link to download your tracks. 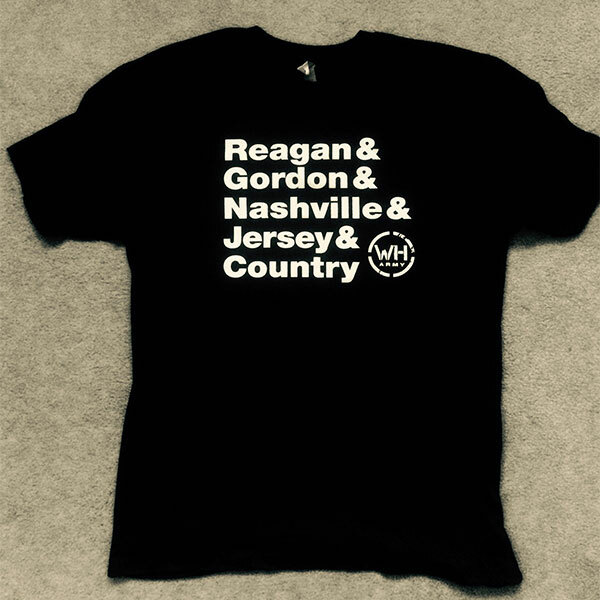 Show your support for "Reagan & Gordon & Nashville & Jersey & Country" with the "WH Army" circle logo. High-quality black t-shirt, available in V-Neck or Crew style. 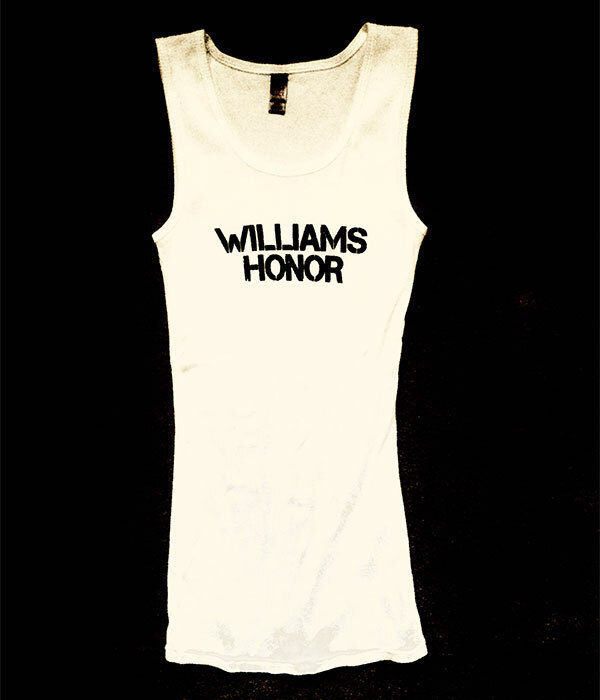 High-quality white tank top with the "Williams Honor" logo. Tight fit / ribbed. 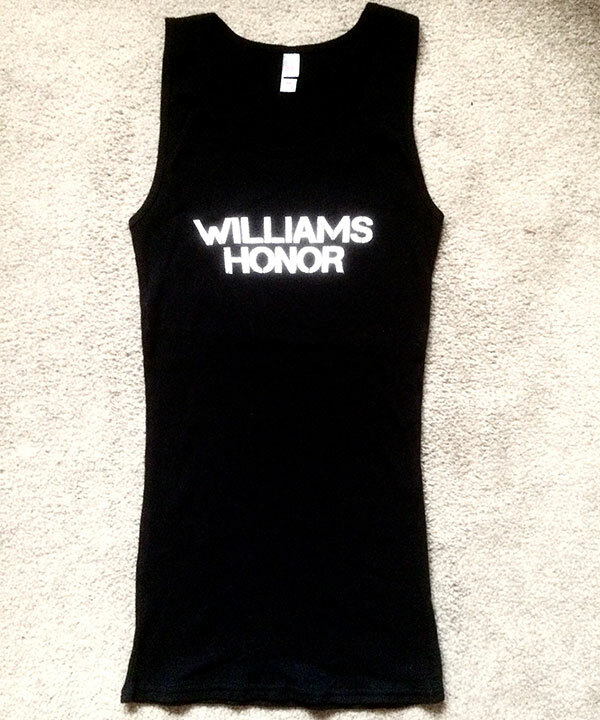 High-quality black tank top with the "Williams Honor" logo. Tight fit / ribbed. The classic WH circle logo on a cap featuring a black front panel with gun metal mesh. 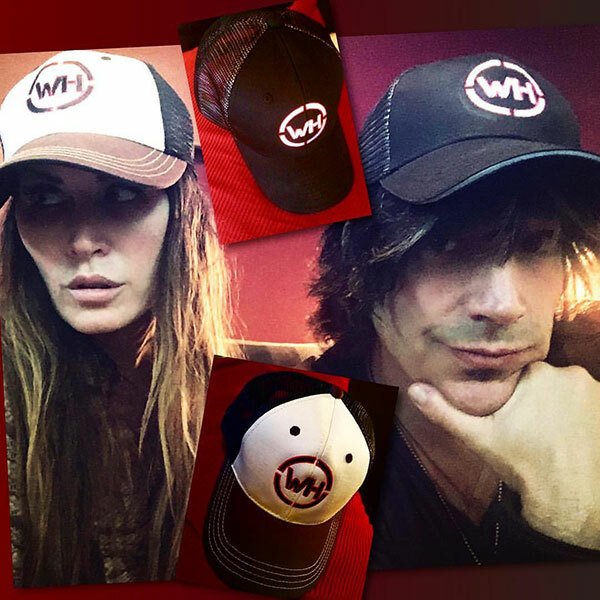 The classic WH circle logo on a cap featuring a white front panel with black mesh. 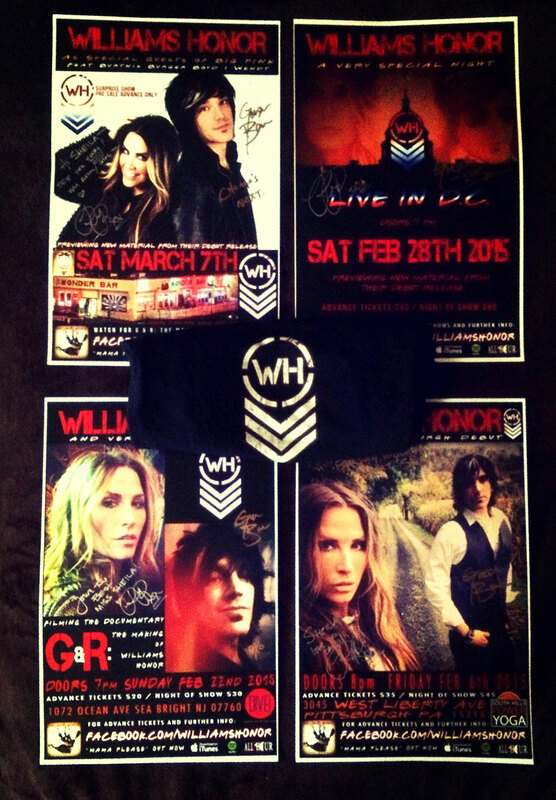 Show your support for the Williams Honor Army! 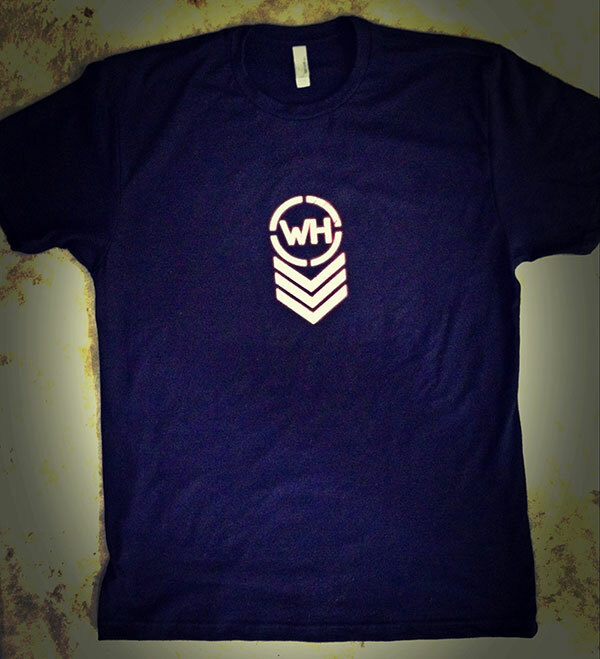 A high-quality black t-shirt, available in V-Neck or Crew style, with the Williams Honor stripes logo on the front. Show your support for the Williams Honor Army! A high-quality white t-shirt, available in Crew style, with the Williams Honor stripes logo on the front. A must for any real Williams Honor fan. Four different 11x17 tour posters (specific shows may vary), autographed by Reagan Richards and Gordon Brown. Show your love for country music from the Jersey Shore! Join the Williams Honor army! 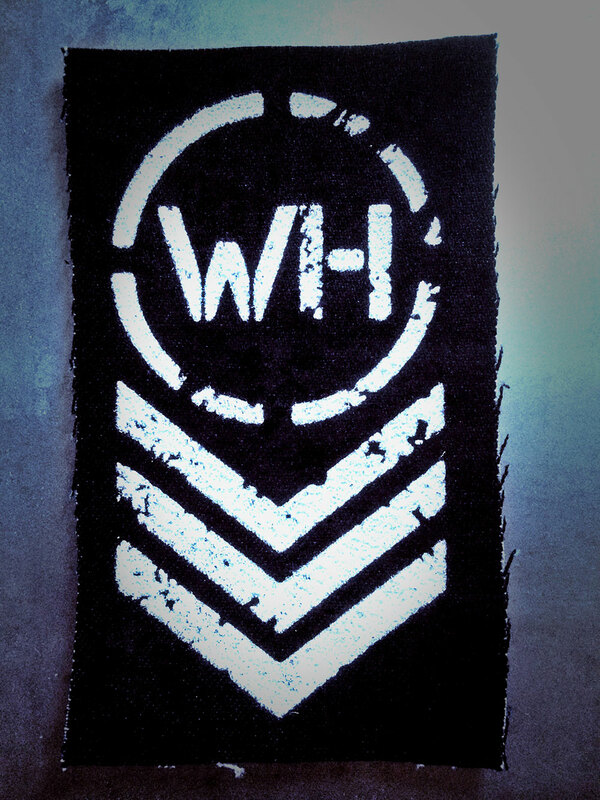 The WH stripes logo printed in cool white on a black patch. 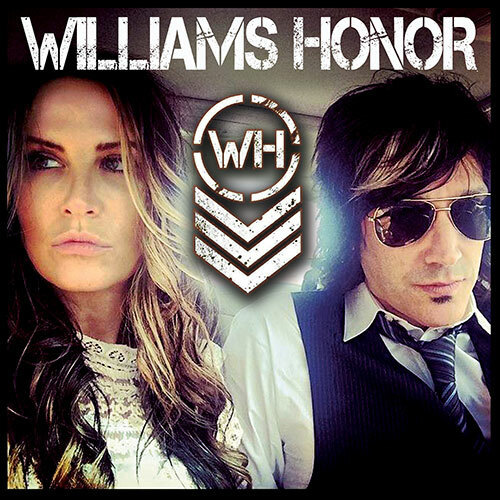 If you would like to have Williams Honor come perform your very own intimate PRIVATE show crafted for your own unique experience or maybe you would like to send them anywhere across the country for a charity or organization please contact [email protected].